Specialty: Personal & Planetary Divine Healer. 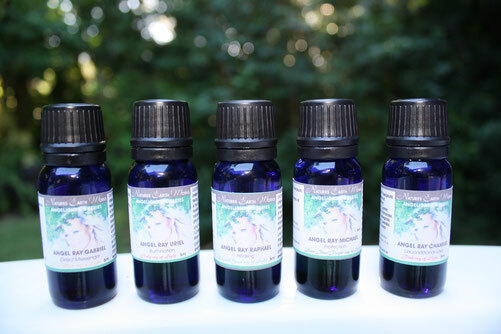 Guides Healers, Inspires creativity in Lotions & Potions from our Earth. Physical Association: Heart Chakra. Lungs, Thymus, Heart, Mental Tension, Stress, Agitation. Equalises, calms, relaxes. The ever patient Arch Angel Raphael. The divine Healer for healing ourselves, helping us to find inner peace. Raphael is associated with the one that holds Akashic knowledge of science and medicine. If asked releases the mysteries, translating them into conscious thought. Regarding physical or emotional pain Raphael can assist you with healing loved ones. 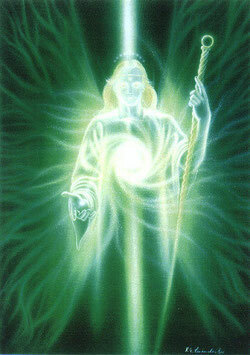 Raphael assists in stabilizing and Healing Mother Earth (Gaia).